Aeryn's Creative Explosion: Art Journal: Victory or Sovngarde! 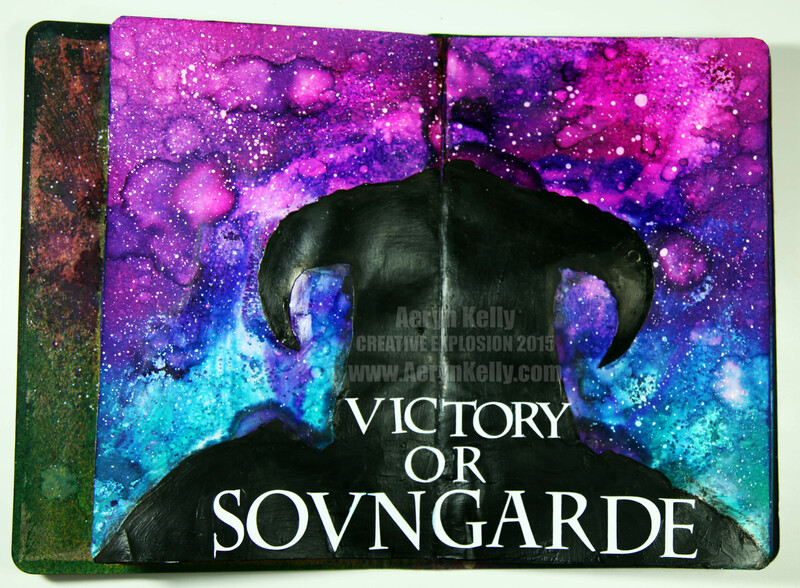 Art Journal: Victory or Sovngarde! I found reference photos, drew out the silhouette, glued it down with gel medium, and then brought out my sprays. It took most of the day to get the background the way I like it. If you want to see more about that, you can check out my video. It's done on canvas, but it's basically the same idea. I sat and surfed the internet and sprayed and spritzed the whole thing with water over and over and over again and finally decided it was time for stars. 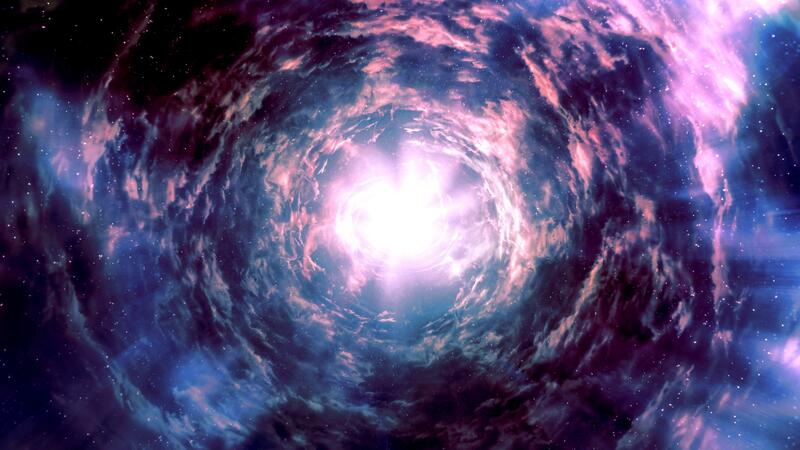 Thousands and thousands of stars! I then covered the silhouette in black paint, then the Pitt Pen because my paint wasn't dark enough. I then cut my words out with my Cameo, glued them down with gel medium, and it was done! I hope you like it, even if you don't get the game reference! This is the reference photos I used. Photographed by an Imgr user whose name I cannot find. I've taken thousands of photos myself before, but can't find them and don't have a character currently that has done the main story quest for this game.